Total length: 27.5 cm, blade length: 15 cm - item number: 1884536030 - Other knife types and set combinations are available for this knife collection. The colourful world of utility knives! Whether red, green or in the classic look with black handles – utility knives in any design are a winner in the kitchen. The high-quality WMF knives are equally suited to cutting through meat, vegetables or fish. The name says it all: utility knives can be used for more or less anything, thanks to their shape and feel. With these knives you'll always have just the right tool for the job, whether you're cutting meat, vegetables or fish. Utility knives in a range of sizes should be found in every kitchen! Don't let the average look of our utility knives deceive you. They come in a wide range of lengths of between 12 and 20 cm, their handles and spines are slightly curved, and the handle fits into your hand well thanks to its ergonomic shape. It's exactly this averageness, though, that makes this type of knife so appealing. Utility knives are the ideal companion for everyday cooking because they are suited to so many different tasks. Hardly any knife can beat the utility knife for versatility. You can use it in the same way as a vegetable knife to clean and peel fruit and vegetables and cut them into little chunks. Meat, sausages and salami are also easy to chop up with these knives. The thin pointed blade comes in useful when larding meat. You can use the blade to cut through meat without destroying the fibres. That's why the utility knife is also often described as a larding knife. In this category you can also find high-quality paring knives, which are highly prized because they are shorter at between 10 and 12 cm in length and as a result relatively easy to handle. Their narrow but straight blades make them suited to a number of uses. Paring knives are particularly helpful for dicing food like onions or herbs. The sharp blades mean you can get a very precise cut. All WMF knives are designed to be used for a long time.  Our experts at the WMF blade forge in Hayingen, southern Germany, combine centuries of forging tradition with modern precision technology to produce a steel that is not only particularly hard but also highly resistant to corrosion. WMF only sells the highest-quality "Made in Germany" blades that you can place your trust in 100%. Don't settle for less! Discover our extra-sharp blades in the WMF online shop.